The science of health care delivery can be very exciting – sometimes offering a futuristic peak into the way things could be. Soon we may have an app that enables near instantaneous health data analysis and distillation, and brings individualized care suggestions to a provider’s fingertips. Crunching data from hundreds of thousands of patients, finding the ones that are most like the patient in front of the provider, adding in genetic information, personal preferences and more, and in a blink of an eye, giving information for the most efficient and effective care. In the meantime, we do things a little more manually, but the end, results are similar. 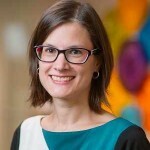 In a recent study, M. Fernanda Bellolio, M.D., an emergency medicine physician, and Kern Health Care Delivery Scholar alumna, led a systematic review and meta-analysis of adverse events in pediatric procedural sedation in the emergency department. The results of this research are published in BMJ Open. Procedural sedation and analgesia is frequently performed for painful or potentially agitating procedures performed on children. The Emergency Department is distinctive from other settings in that the procedures performed are likely to be more painful and urgent in nature. Sedation can facilitate these procedures, however, it carries its own risks, which are not necessarily well quantified and understood. Her team looked through 1,177 studies, finding 258 articles that contained information on sedating children in the emergency department for various procedures. A total of 41 studies met the inclusion criteria, which covered 13, 883 procedural sedations in 13, 876 children (ages 0-17). The researchers found that for every 1,000 procedural sedations, an average of 56 patients had vomiting. Also up to 18 of every 1,000 children got restless and agitated with the medications received for sedation. In addition to these less serious events, the team observed a number of more critical occurrences. In 1,000 patients, about four suffered laryngospasm. In all but one of the cases seen (33 of 34), the children who experienced laryngospasm received ketamine for sedation. They only noted four cases of intubation out of a set of 9,136 sedations, and no cases of aspiration among another set of 3,326 sedations. This research falls within Knowledge Synthesis, in the Mayo Clinic Robert D. and Patricia E. Kern Center for the Science of Health Care Delivery. The center seeks to build the evidence base in health care delivery, applying scientific and engineering principles to transform the way patients everywhere receive and experience health care. In addition to several Mayo Clinic collaborators, Dr. Bellolio’s team included Brazilian medical student Henrique Puls, from Universidade Federal das Ciências da Saúde de Porto Alegre, Porto Alegre. She mentors him in his research training program at Mayo Clinic – helping develop the next generation of clinicians trained in the science of health care delivery. Read related post on adult sedation: Are you going to put me to sleep? what are the risks of sedation in the emergency department?